What would kids do with their spare time if their game console forced them to take a break when they play too long? It's hard for working parents to keep track of the amount of time their kids spent playing video games. While some game consoles have the ability to set parental controls, they don't have a system to limit the AMOUNT of time their kids play. 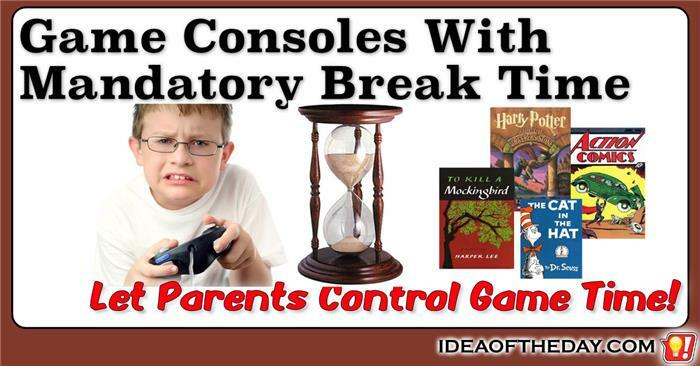 Game consoles need easy access parental controls that let parents either set a specific limit on the number of hours they can play per day, or the number of minutes between mandatory breaks. Mandatory breaks could force kids to find something else to do, leading to better non-gaming habits.